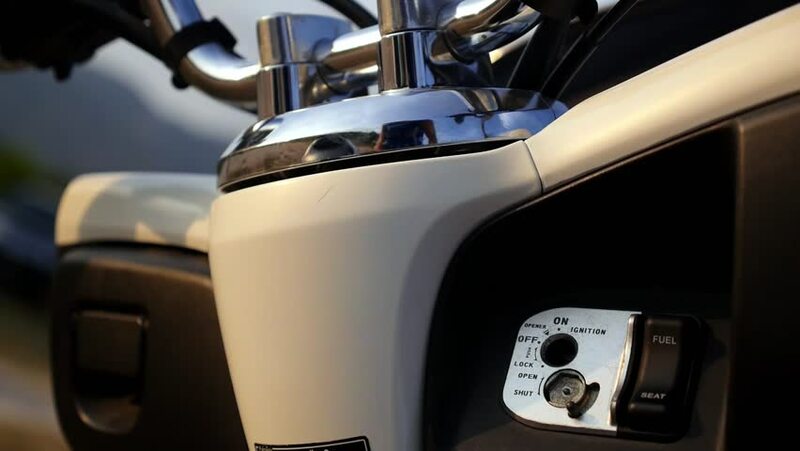 Installing Motor Cycle Keys into the Ignition Lock. Closeup. HD, 1920x1080.